Sorry, this item can't be shipped to your country. In her foreword to All The Poems (2003) Muriel Spark wrote, 'Although most of my life has been devoted to fiction, I have always thought of myself as a poet. I do not write "poetic" prose, but feel that my outlook on life and my perceptions of events are those of a poet.' 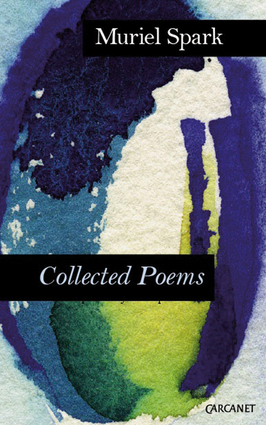 Including previously uncollected work, this new edition demonstrates her ear for the rightness of a line and her eye for the telling detail, her command of poetic forms and her ability to rise to the different challenges of freer verse. Spark's poems are witty, idiosyncratic and haunting, transforming the familiar into glittering moments of strangeness, revealing the dark – and light – music beneath the mundane. Muriel Spark was born in Edinburgh in 1918. After some years living in Africa, she returned to England, where she edited Poetry Review from 1947 to 1949 and published her first volume of poems, The Fanfarlo, in 1952. She eventually made her home in Italy. Her many novels include Memento Mori (1959), The Prime of Miss Jean Brodie (1961), The Girls of Slender Means (1963), The Abbess of Crewe (1974), A Far Cry from Kensington (1988) and The Finishing School (2004). Her short stories were collected in 1967, 1985 and 2001, and her Collected Poems appeared in 1967. Dame Muriel was made Commandeur des Arts et des Lettres (France) in 1996 and awarded her DBE in 1993. She died in Italy on 13th April 2006, at the age of 88.